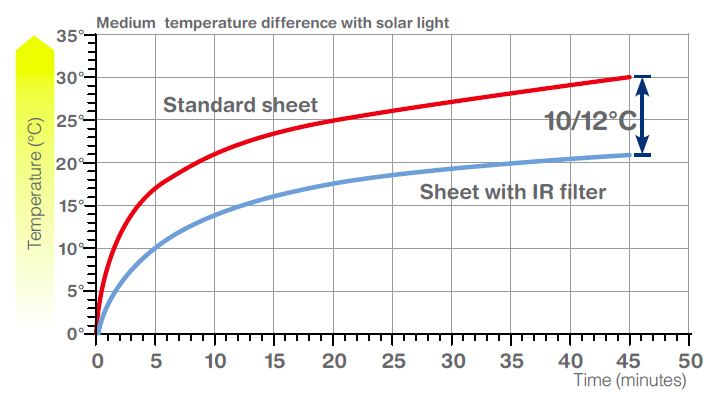 The products of the IR line absorb the part of the light relative to the infra-red rays (from 780 to 1400nm), effectively blocking the solar heat, while letting the solar light through. The result is a reduction of the internal transmission of heat and a reduction of the cost for cooling the area. 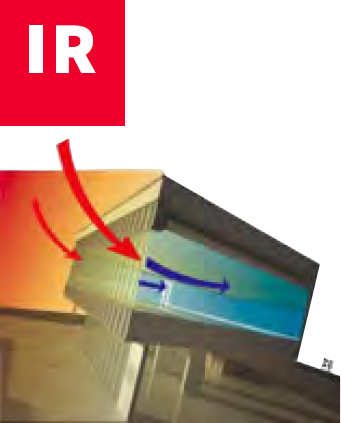 In fact all the products from the IR line can contribute to reducing the temperature increase up to 25 with respect to other window products. All the products in the IR have a written guarantee of 10 year against the reduction of the properties of light transmission, yellowing and breakage caused by hail. The potential result: reduced energy spending for cooling and for lighting as well as higher comfort. The multiwall sheets, and the modular arcoPlus® IR panels offer incredible design flexibility in applications such as skylights, windows, greenhouses, conservatories, and many others thanks to the wide range of available products. 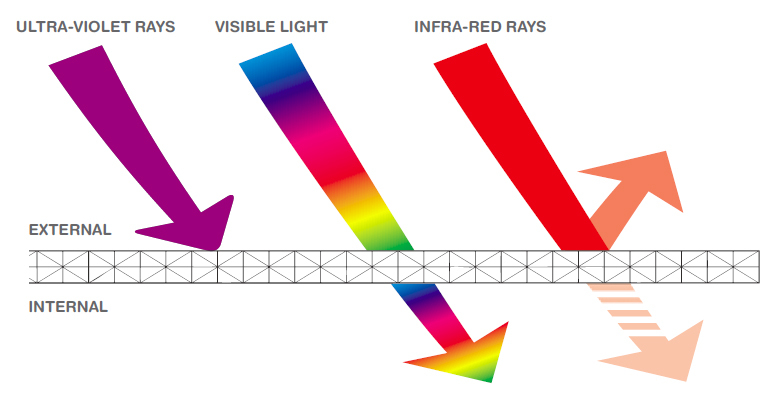 The heat coming from solar heating is for the most part absorbed by the external surface, treated with IR absorbers, that limits radiation to the inside of the building and the consequent heating up.